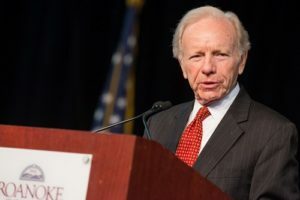 Many news outlets are reporting that former-senator Joe Lieberman of Connecticut is rather likely to be Donald Trump’s choice to be the new FBI director. With all due respect to Lieberman, who is a fine man and one of my favorite public servants of the past 30 years, this is a bad idea. It is bad for numerous reasons. First, at exactly a moment when the political atmosphere is toxic and when the prior director was widely criticized for appearing to tip the political scales in the midst of a national election, this is precisely not the time to hire for the very first time an FBI director whose background is largely elective/political. For all of Lieberman’s vaunted bipartisanship, he still built a career as a politician and has a habit of thinking like one. This is not good. Second, the nature of the job itself is not that of a mere CEO type in the way that some of the lesser cabinet posts are. This is a job for a person not just broadly familiar with, but extremely well versed in, the tools of law-enforcement investigations, the technical interplay of various federal agencies, and the granular details of patient inquiry. Lieberman, despite his long government résumé, has not a single day of federal law-enforcement experience. If he were named director, he would be the first person ever to hold that post without prior Justice Department experience. He just does not have the requisite base of knowledge that the Bureau’s chief should have. Third, Lieberman is, sorry to say, too old. He may be fit and energetic and sharp as a tack, but he’s 75. The directorship is, at least nominally, a ten-year term. A 75-year-old, especially one with a need for on-the-job-training, is not a proper choice for the position. Fourth, Lieberman clearly is being considered as an answer for immediate crisis of sorts, with thoughts of who can inspire widespread political acceptance for the current circumstances — but what is needed is for somebody to be chosen without regard to the Russia-related investigation or for today’s headlines, but instead chosen for aptitude with the broad range of FBI responsibilities over the long haul. Appointment of Lieberman may achieve short-term political reassurance, but only at the expense of a more explicitly qualified leader intent on institutional-operational competence, stability, and progress. Current senators who served with Lieberman will be loathe to push back hard against his appointment, because he was deservedly well liked and widely respected in that body. But all senators should nonetheless push back, and hard, before Trump makes the pick. Lieberman is a good man for the wrong job at the wrong time. He absolutely should not be director of the FBI.